How can I find a question that was recently asked? I've read a question this morning and can't find it again. is there a possibility to search by date? I might also add that if you remember anything about the question, you could try to search by any keywords you remember (or tags). Then the field of questions to search through would be smaller. 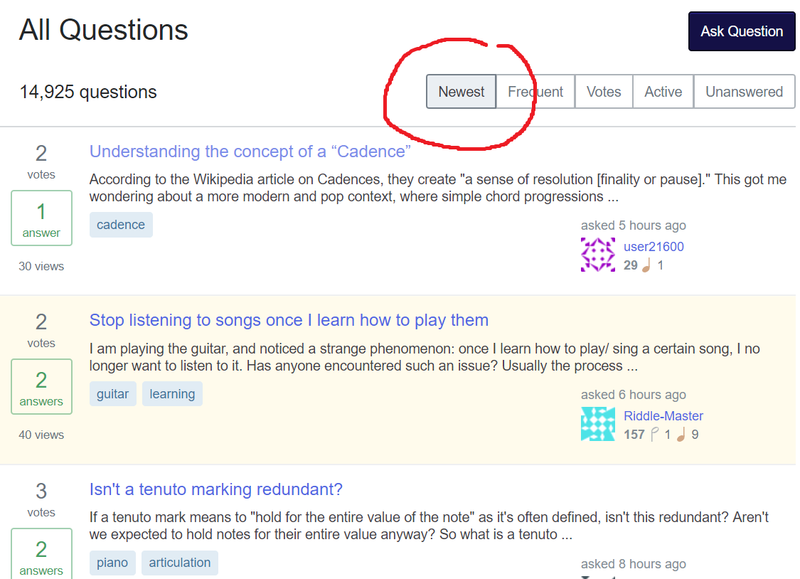 Are questions like “Where can I find sheet music for ____” on-topic? My question was marked duplicate and I've edited to clarify, can I request it be unmarked? Why was this question treated so differently to the one it duplicated?